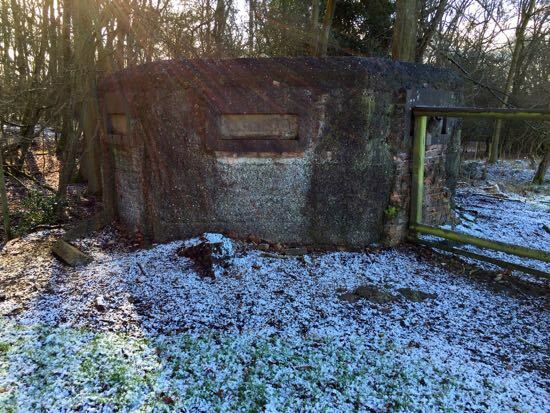 Situated almost a mile apart in the south-east corner of North Mymms are two WWII pillboxes, part of the local defences set up to protect London from invasion between 1939 and 1945. One is standing in the corner of a field at Boltons Park Farm south of Hawkshead Road the other is in the grounds of Queenswood School. Both are type 24 boxes and are on private land with no nearby public access. 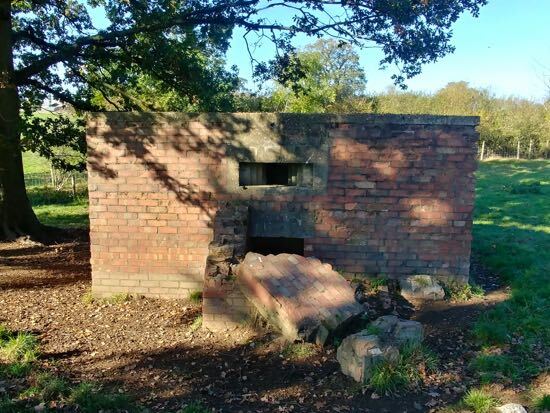 The North Mymms History Project has acquired images of both pillboxes thanks to the cooperation of staff at Boltons Park Farm and Queenswood School. To the north and east of the Boltons Park Farm pillbox is a dip in the land, formerly the trench that was part of the outer London anti-tank defence line. It's likely that trench would have also run close to the Queenswood School pillbox, see map below. 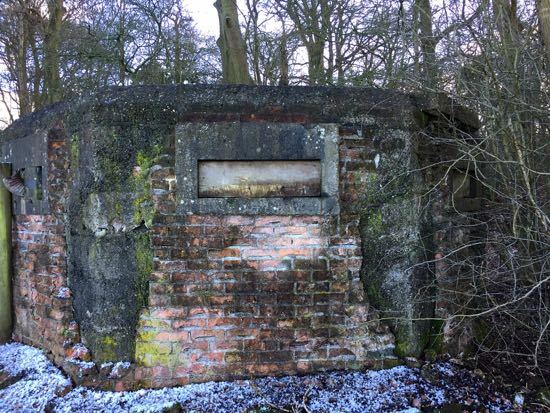 The pillbox on land owned by Boltons Park Farm, part of the RVC (Royal Veterinary College), is at grid reference TL 25416 02701. 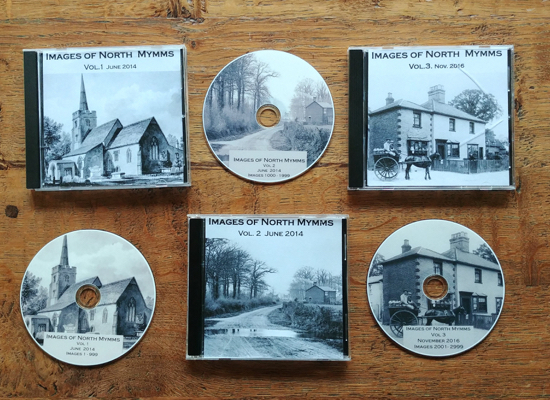 The North Mymms History Project was given permission to visit the site in order to create a photographic record of the structure. 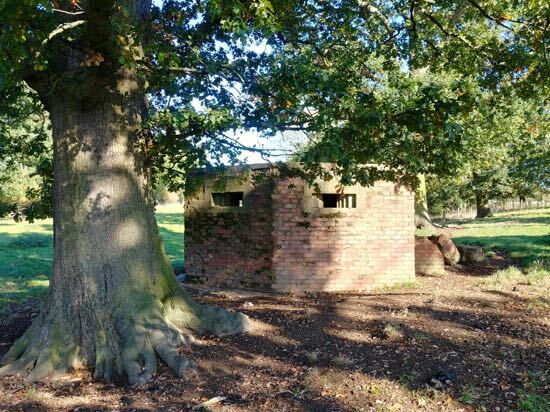 The pillbox in the grounds of Queenswood School (grid reference TL 26600 03300). Dr Wendy Bird, the Archivist at Queenswood School kindly agreed to photograph the structure for the North Mymms History Project. 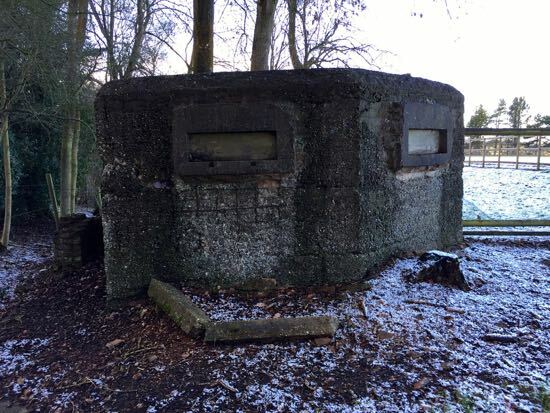 Both pillboxes are listed on the Heritage Gateway site. 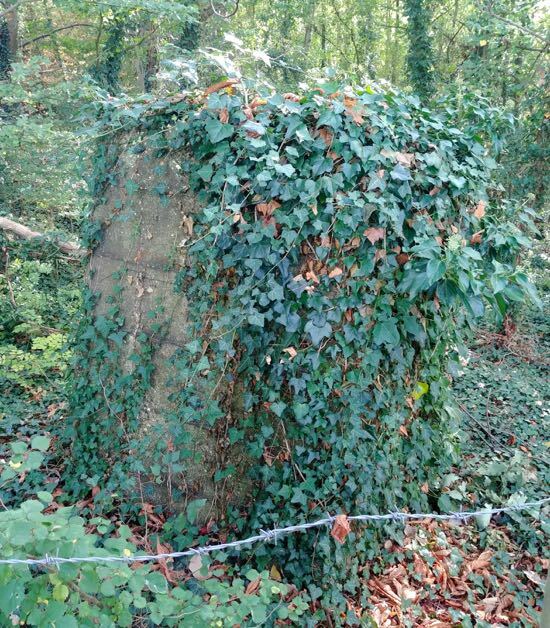 This is the entry for the Boltons Park Farm pillbox, and this is the entry for the Queenswood School pillbox. The Heritage Gateway also lists the outer London stop line that runs through North Mymms. 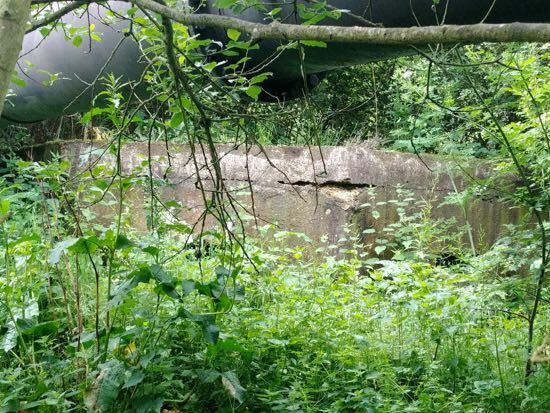 Former local resident, Jim Apps, built a website about the local wartime defences called Fortress Hertfordshire. He also wrote a feature for our old local history section about his site. Unfortunately, that site is no longer live, and all Jim's work and images has been lost. This piece includes part of what Jim wrote in 2003, with new images taken on October 19, 2018, and updated information. Jim Apps wrote that in 1940, as the German army swept across mainland Europe to the shores of France, Britain was in imminent danger of invasion. Only the English Channel stood in the enemy's way. "As the Germans occupied France, Norway and the low countries, the length of our shoreline that had to be defended increased dramatically. The fixed lines of defences, built to prevent invasion from the sea, were known as the General Headquarters (GHQ) Lines. "Behind the coast, the threat of airborne landings required the guarding of more than 1,500 vulnerable points, such as airfields, army establishments and centres of military production. "By far the most vulnerable area, and the most important target for the German Army, was London. 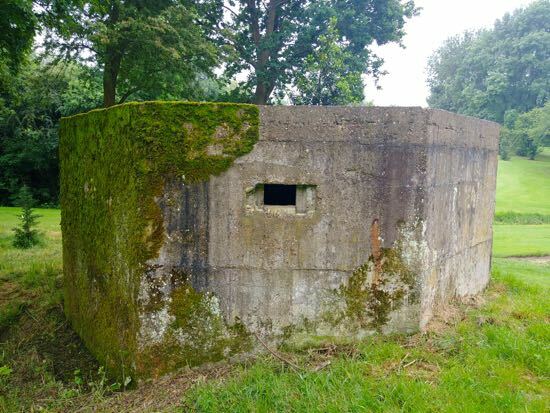 To prevent the capture of London and everything it contained, a fixed ring of anti-tank ditches and pillboxes were built as a final line of defence. This was known as the outer London stop line, or Outer London Defence Ring. "The line passed through the southern part of Hertfordshire, from Watford to Cheshunt, and much of it still remains today." 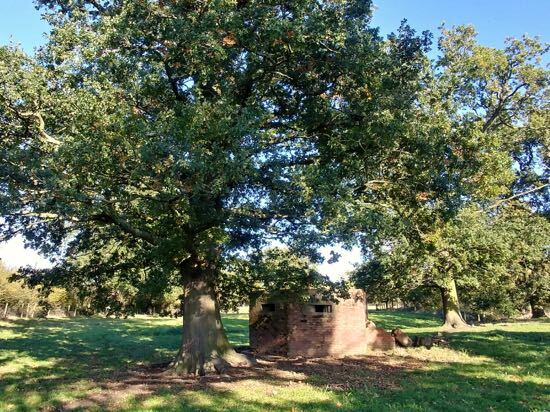 According to Jim Apps, the remains of the Outer London Defence Ring can just be made out running to the north and east of the North Mymms pillbox, visible in the image below running along the line of oaks behind the type 24 pillbox. Jim Apps spent a great amount of time and effort researching and writing about this important part of our military history. 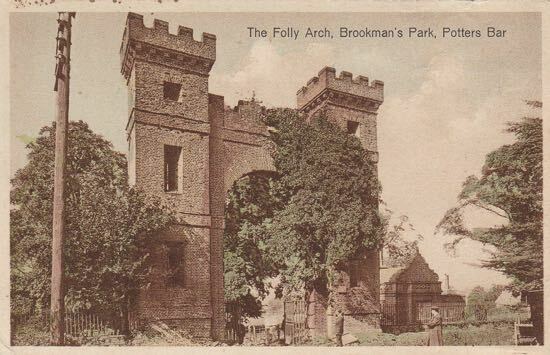 His website, Fortress Hertfordshire, was, he wrote at the time, "my attempt to make some of our important historical structures available to a wider audience". 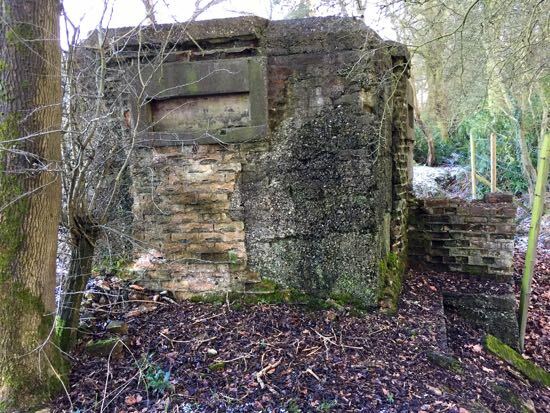 "For example, on the north side of the Ridgeway in Northaw, to the west of the Great Wood, is a pillbox. Opposite it, on the south side of the road, is a set of anti-tank blocks. "In front of the pillbox are the remains of the anti-tank ditch. This would have formed part of a roadblock. 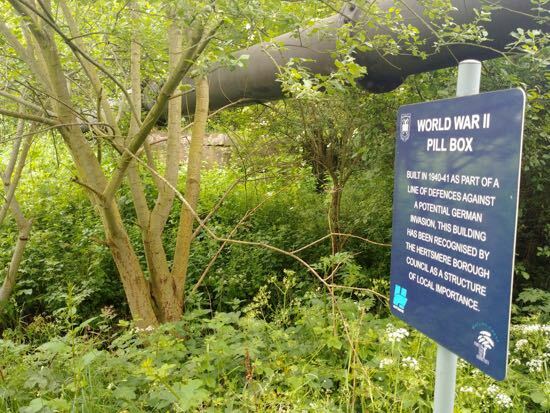 "Close to another pillbox in Northaw is an ammunition store used by the Home Guard to store self-igniting phosphorous anti-tank grenades or explosives. 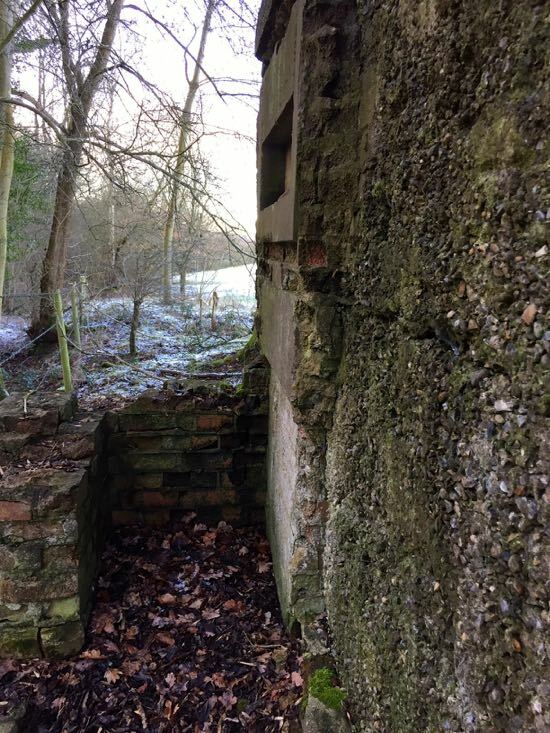 "One of the picture on Fortress Hertfordshire shows the remains of what is thought to be a store for damp-sensitive items such as fuses. These stores are unusual in Hertfordshire. 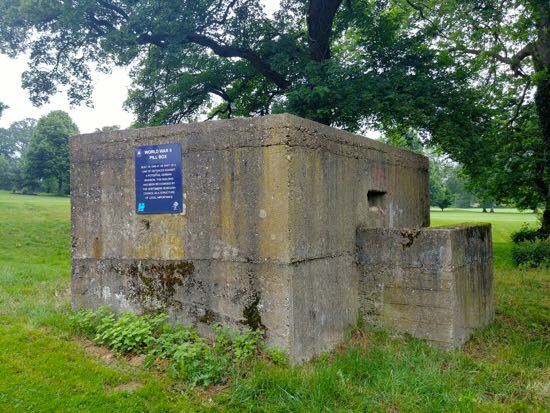 "Also, on the east side of Great Woods is a short length of concrete roadway, believed to have been the access to an anti-aircraft emplacement. "About 100 yards from the Ridgeway's junction with Carbone Hill there are four anti-tank blocks, two on either side. "Between these blocks, set into the road, are five rows of sockets into which steel rails could be placed, standing upright, to prevent tank access. "Three of these rows still contain the original metal sockets. This type of roadblock is unique in the county." Jim also wrote about the importance of the tank traps at the junction of Swanley Bar Lane and the Great North Road, grid reference TL 26144 03171. 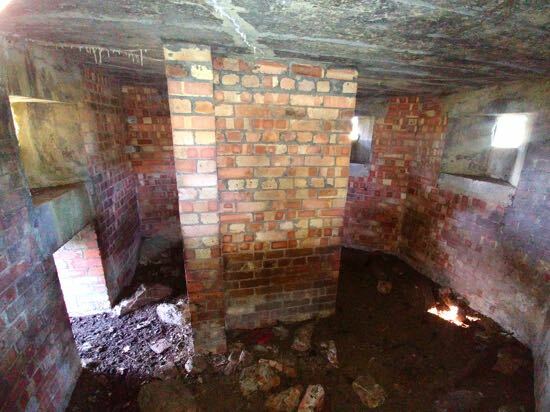 The photographs of the traps, taken in September 2018, are included below. 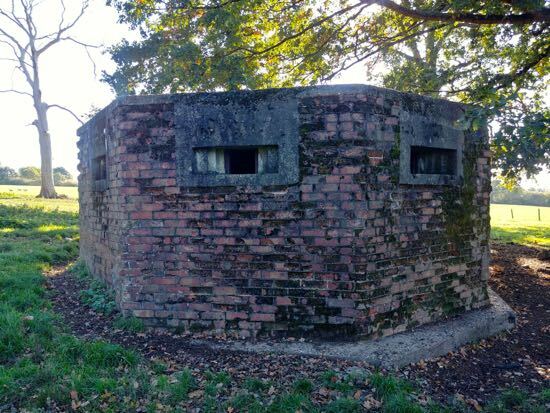 There are two more type-24 pillboxes on Potters Bar golf course to the south-west of the North Mymms pillbox. 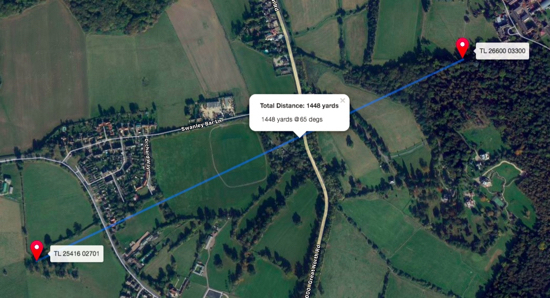 The first is a distance of 1,678 ft (511 m) to the north of the public footpath (Hertfordshire right-of-way Potters Bar 005) that runs across the golf course (grid reference TL 24863 02396). See the first two images below. The second is another 1,796 ft (547 m) further west, close to the stream running alongside the footpath to the east of the railway line (grid reference TL 24485 02345). See the third and fourth image below. 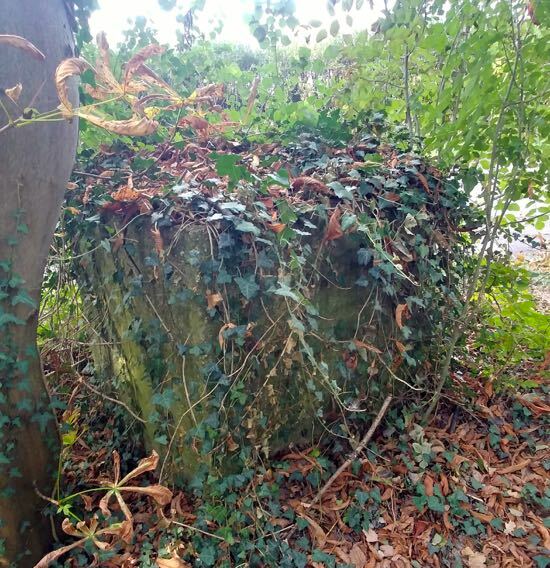 You can read more about local defences in an article on this site about the North Mymms tank traps, another article about the North Mymms spigot mortar emplacements, and one about the Bell Bar Tett turret and tank traps. There are more articles about the war years, including a feature on the North Mymms Rifle Range, a POW camp in Welham Green, and a booklet about life 'On The Home Front' in North Mymms during the war years. There is also a feature about young evacuees from London being sent to live in Brookmans Park.